Fast reliable Skip and Bulk bin service for the Mornington Peninsula - commercial builders to residential households. 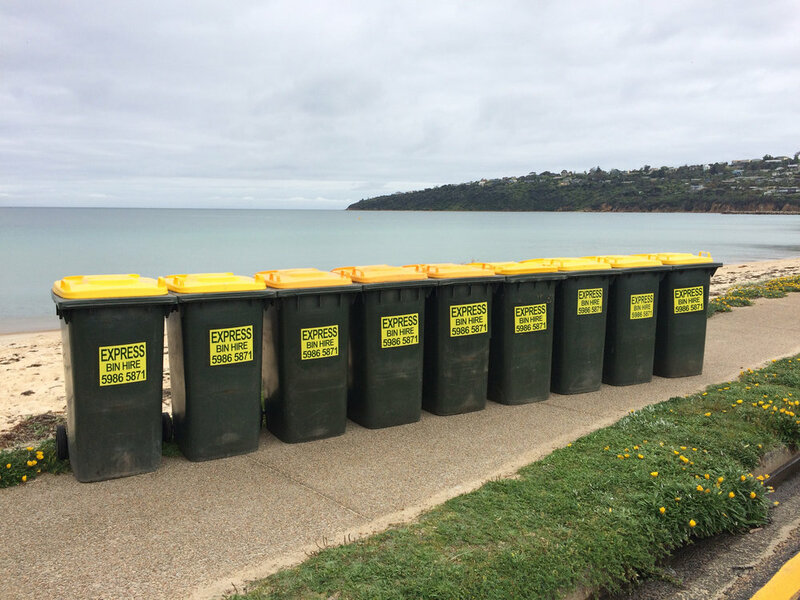 Wheelie bins lined up and ready to go! We deliver a bin to your premise - will empty when you call - a pay as you go service - NO Contracts! We supply many local markets on the Mornington Peninsula, including Portsea, Red Hill and Boneo. We also supply wheelie bins for events such as fun runs, weddings and summer carnivals in Rye and Rosebud.